At Eyedeology, all of our frames are handpicked according to current style, fashion, and quality. We will make sure the frame you pick looks and fits perfectly! Our Motto is to SEE & BE SEEN! 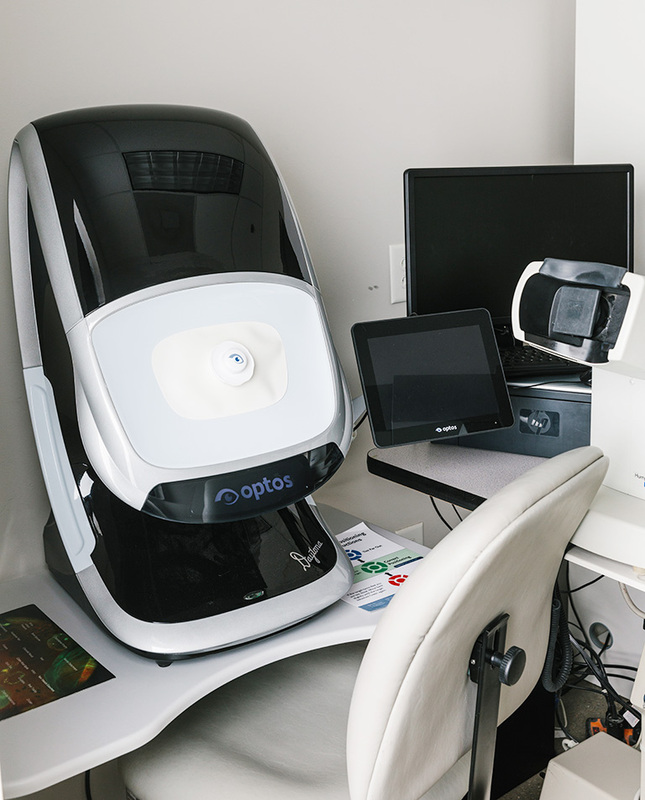 At Eyedeology Vision Center + Optique, we are continuing our efforts to bring our patients the most advanced technology. Our office is proud to announce the addition of the Optos Daytona Retinal Imaging Camera as an important part of your eye examination. Our doctors are concerned about retinal conditions including macular degeneration and glaucoma, as well as systemic diseases such as diabetes, stroke, and hypertension. These conditions can lead to partial vision loss or blindness, and often can develop without warning and can progress without symptoms. a detailed view of the retina, which enables us to better monitor your eye health. 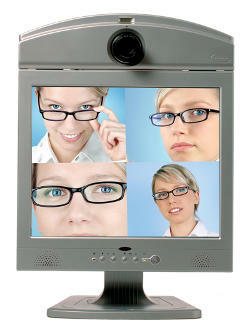 the ability to view your digital image with your doctor during your examination. it provides a digital record of your retina that becomes part of your permanent file. Digital Retinal Photography is painless and non-invasive. It is comparable to taking a baseline dental x-ray. In most cases, retinal imaging will NOT require dilation drops, which results in temporary blurred vision and light sensitivity. Our "StyleCam" is an innovative touch‐screen photo kiosk that allows patients to clearly see themselves comparing up to four frames side‐by‐side. The StyleCam's ease of use and picture quality are unparalleled. The easy to use interface allows customers to use the system unattended. The user simply touches the screen to start a video session and touches again to take a picture. The pictures can then be saved, emailed or even printed. Frames are displayed in vivid and accurate colors thanks to the high‐quality 7 mega‐pixel digital camera. Prada · Prodesign Denmark · Kate Spade · Tory Burch · Oliver Peoples · Persol · Ray Ban · Tom Ford · Hugo Boss · Modo · OGI Eyewear · DITA · Seraphin · Salt.